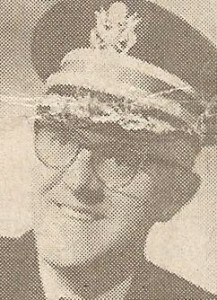 Lieutenant Colonel Charles Irwin Balcer was born 13 January 1919 in Baltimore, Maryland, the son of Viola and Frank J. Balcer. He attended Eastern College in Baltimore before joining the United States Army on the 1st of October 1941. His war service included both World War II and the Korean War. While serving in the European Theater during World War II, he landed at Utah Beach during the Normandy Invasion and was later wounded on 1 August 1944. After the war he was a contributor to Cornelius Ryan’s classic book on the D-Day invasion of Normandy, The Longest Day, June 6, 1944. COL Balcer giving a 2001 Veteran's Day presentation to his Grandson's 3rd Grade class. Retiring from the Army in 1964, Colonel Balcer moved to Phoenix where he became a broker. In 1970 he joined the Arizona State Compensation Fund, serving as a Safety Engineer before retiring again in 1984. 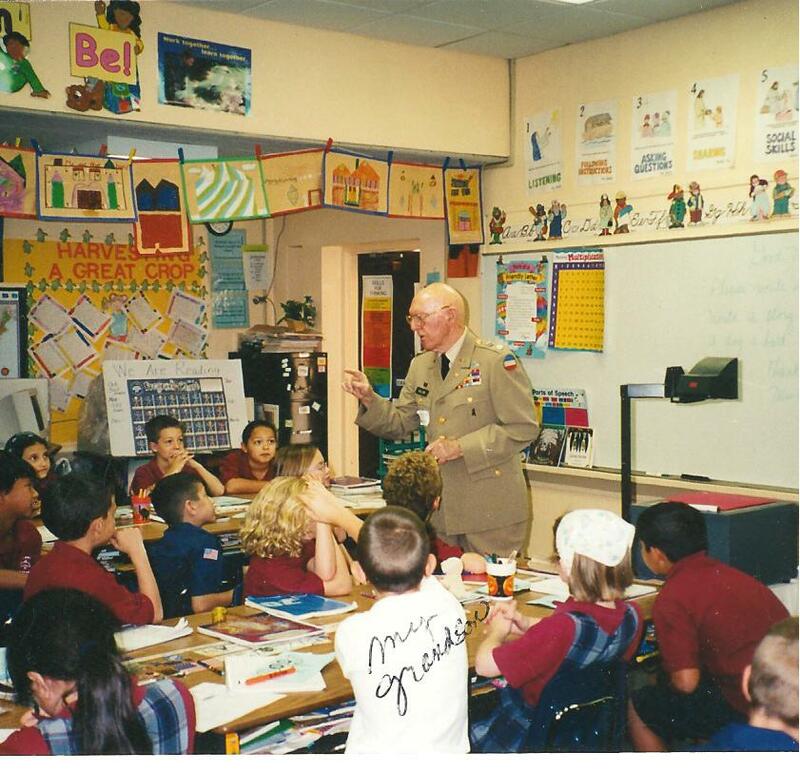 Colonel Balcer was an active leader and volunteer in the community. In addition to serving as our 14th President of The Arizona Chapter of MOAA in 1968, he was the Executive Director of the Clearwater Hills Home Owners Association, Paradise Valley for 14 years. 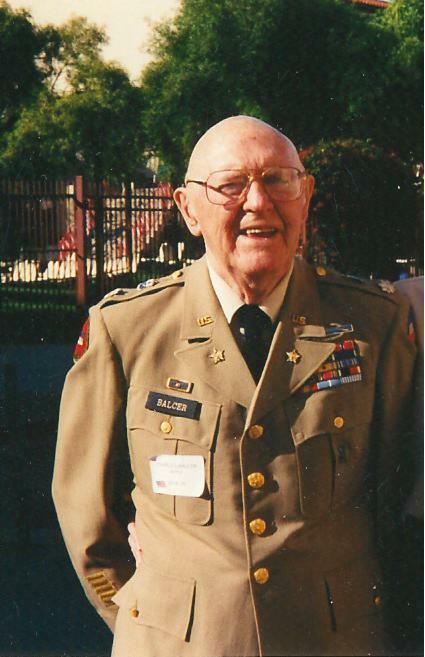 Colonel Balcer died 1 July 2006 and is buried at St. Barnabas On The Desert Episcopal Church, 6715 N. Mockingbird Lane, Scottsdale, Arizona.